A tumultuous 2018 season reached a low point Friday on the road against Illinois. 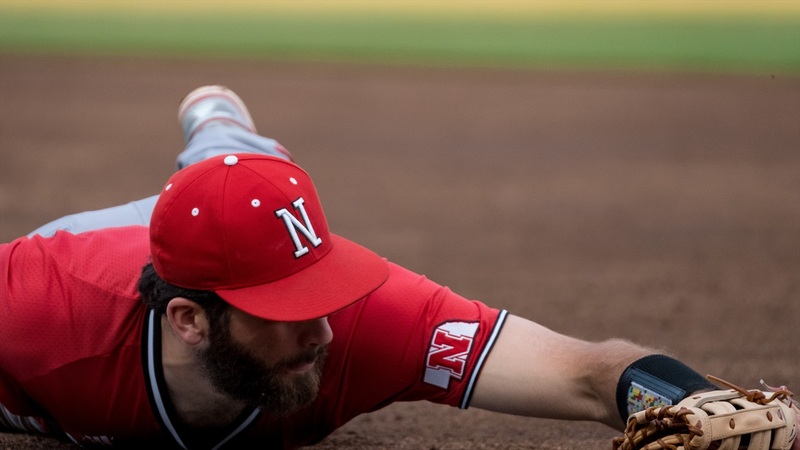 With a 13-6 loss, the Huskers (23-28, 7-13 Big Ten) have officially been eliminated from contention for the eighth and final spot at the Big Ten Tournament in Omaha. The Huskers had a shot entering the final six games of conference play — a three-game home stand against Indiana (35-15, 12-9 Big Ten) and the current three-game fight with Illinois (30-17, 14-8) — but that shot is now gone. With one game left to play, the Huskers have gone 1-4. The loss also makes certain 2018 will be a season of worsts. It’s the first time since joining the Big Ten conference that the Huskers will not play in the Big Ten Tournament, where they hold a 9-11 record. It’s the first losing season since the 2012-13 campaign and, regardless of the outcome in the season finale, the worst season by winning percentage since 1997 (the final year under 20-year man John Sanders). All year long, Nebraska has fought injuries to its pitching rotation, inconsistency at the plate (only three guys have a batting average inside the Big Ten’s top-50) and trouble away from home (5-12, 13-12 at home). Goodwill around the program stemming from 2017's regular-season conference crown has turned to angst over the future of head coach Darin Erstad. According to multiple reports, athletic director Bill Moos has no plans to replace Erstad. The Huskers close out the regular season against Illinois on Saturday at 3 p.m. CT.